You Can’t Fight Christmas (2017) – What's New on Netflix Canada Today! 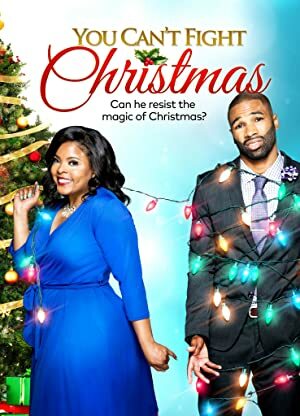 Christmas designer Leslie Major (Brely Evans) is the biggest fan of Christmas ever. She is like a tidal wave of Yuletide cheer. Her biggest job every year is decorating the lobby of the famed Chesterton Hotel. As she is on a ladder decorating the tree, she falls into the arms of Edmund James (Andra Fuller) – the grandson of the owner JJ James. Edmund is all business and thinks Christmas is superficial and frivolous. But there is something about him. Edmund and his business partner, Millicent (Persia White), have plans for the hotel including ending the Christmas tradition at The Chesterton. Leslie uses all her Christmas charms on him to love Christmas. – and love her.